The Auto Parts Industrial Park of Shanghai International Auto City is located in Anting, a major industrial town in the northwest part of Shanghai. 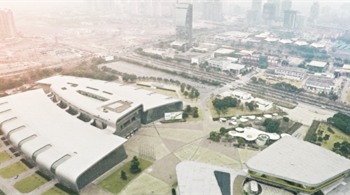 Occupying 8 square kilometers of land, the park is an important component of Shanghai International Auto City. As a result of several years of development efforts, the park has optimized its infrastructure facilities and landscaped 38 percent of its area. To date, it has introduced more than 280 projects, of which 14 are among the world's top 500, and 80 percent are engaged in auto parts production.